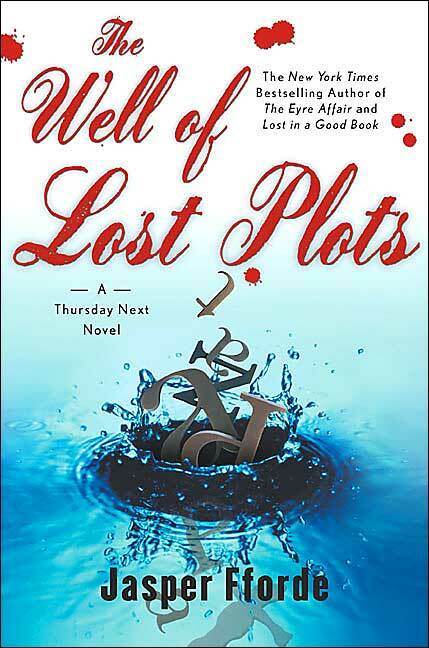 In the third Thursday Next book, The Well of Lost Plots, Thursday has to move into a novel to hide from the nefarious Goliath Corporation. She ends up in Caversham Heights, a novel that was abandoned. She gets to live on an old converted house-plane. Her bedroom is in the nose of the plane and she falls asleep each night to the gentle rocking of the house. Thursday was put into this novel because it wouldn't ever be read so it didn't matter so much if she did things out of the normal narrative flow. But wouldn't it be much more fun to get to choose a published novel to live in? Which novel would you choose to settle down in for a year or two? You might be filling in for an established character while they go on vacation (you would have to deliver their lines and live in their home) or you might just be hiding out in the backstory. I would consider choosing to be Martha, the maid in The Secret Garden who invites her brother Dickon to play with the unfortunate Mary. Or I might spend some time as Trillian (a.k.a. Tricia McMillan) in the Hitchhiker's Guide to the Galaxy, traveling the stars in a unique ship. Or maybe I would just settle in as Madame Rosmerta, spending my time serving butterbeers in The Three Broomsticks to the youngsters from Hogwarts. 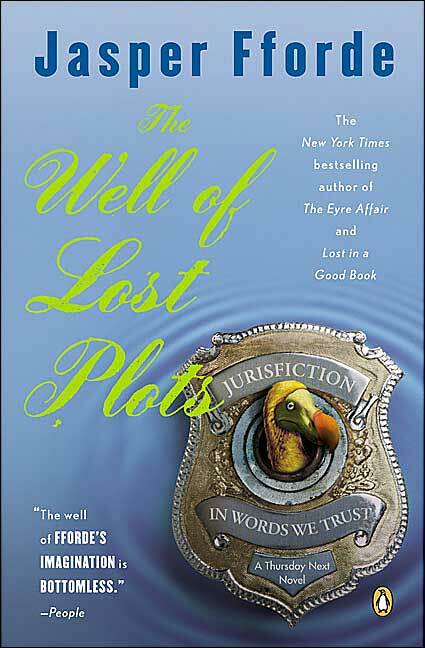 The Well of Lost Plots is my favourite Thursday Next book. Which book would I like to spend time in? There are just so many to choose from. Obviously I'd love to spend some time in any of Austen's novels - I wouldn't mind which one, but Wind in the Willows appeals too - just messing about on the river would be fun. But for fantasy it would have to be Lord of the Rings - can I stand in for Eowyn?! Oh, I'd love to live in Diagon Alley for a year -- but only after that nasty business with Voldemort was settled. 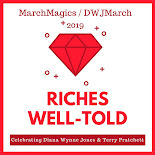 Most of my favorite books are historical, but I couldn't live too far in the past -- I need to live somewhere with modern conveniences, i.e., plumbing and real beds. And medical care. So I think my second choice would have to be BookWorld or in Thursday Next's reality. And Manderlay wouldn't be too bad since it's in the 20th century. Of course I'd probably end up working as some kind of scullery maid with Mrs. Danvers as my boss -- creepy! Tracy - I think it might be my favorite book too (although the ending of Something Rotten is so incredibly touching). I thought of Wind in the Willows too. :) And standing in for Eowyn would be amazing! Karen - Yes, the HP world has its ups and downs, doesn't it? The BookWorld would be awesome. And maybe you could stand in for Maxim DeWinter's sister so that you could just come and visit Manderley and enjoy yourself instead of dealing with all the drama.